Summary: The purpose of this program is to support local implementation and State/Tribe-wide expansion of trauma-integrated jail diversion programs to address the needs of individuals with mental illness such as post traumatic stress disorder (PTSD) and trauma related disorders involved in the justice system. In recognition of the dramatically higher prevalence of trauma related illnesses among veterans, this program prioritizes eligibility for veterans. This program focuses jail diversion programs on the underserved needs of veterans and others with PTSD involved in the justice system. The program will also support states to pilot projects locally and to replicate them statewide. This two-pronged approach is necessary because diversion occurs locally in cities and counties where jails are operated and mental health services are delivered. However, policies and funding at the state level dramatically impact local operations and services. This approach brings together those who develop and define state policies and determine funding with stakeholders who are affected by the untreated trauma of veterans. Together they can develop knowledge dissemination and application strategies for the entire state. Jail Diversion and Trauma Recovery is one of SAMHSA’s services grant programs. 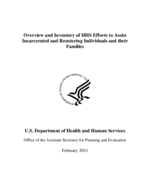 SAMHSA’s services grants are designed to address gaps in mental health prevention and treatment services and/or to increase the ability of States, units of local government, American Indian/Alaska Native Tribes and tribal organizations, and community- and faith-based organizations to help specific populations or geographic areas with serious, emerging mental health problems. Background: As of April 2008, approximately 1.64 million men and women have been deployed to serve in Operation Enduring Freedom (OEF) and Operation Iraqi Freedom (OIF) in support of the Global War on Terror. Individuals returning from Iraq and Afghanistan are at increased risk for suffering post-traumatic stress and other related disorders. Experts estimate that up to one-third of returning veterans will need mental health and/or substance abuse treatment and related services. In addition, the family members of returning veterans have an increased need for related support services. With increasing numbers of combat veterans returning from duty overseas, there is growing concern that the community provide adequate supports to ensure their successful reintegration into American community life. For many returning veterans, PTSD and related disorders will go untreated, placing them at risk for involvement in the justice system. This grant addresses Healthy People 2010 focus area 18 (Mental Health and Mental Disorders). FY 2008 — Colorado Department of Human Services, Denver, CO; Connecticut Department of Mental Health, Hartford, CT; Georgia Department of Human Resources, Atlanta, GA; Illinois Department of Human Services, Chicago, IL; Commonwealth of Massachusetts, Boston, MA; Vermont State Department of Health, Burlington, VT. Evaluation Activities: Grantees report performance on the National Outcome Measures (NOMs) such as: behavioral health; employment/education; criminal justice involvement; stability in housing; access – number of persons served by age, gender, race, and ethnicity; rate of readmission to psychiatric hospitals; social support/social connectedness; and client perception of care. Grantees also participate in a cross-site evaluation and report program specific measures such as trauma history and recovery, as well as diversion approaches, treatment practices and support services. Data is collected at diversion, at 6 months and at discharge. Future Prospects: Jail Diversion and Trauma Recovery grants are authorized under 520G of the Public Health Service Act, as amended.